Everything you need for easy mobile check-in! 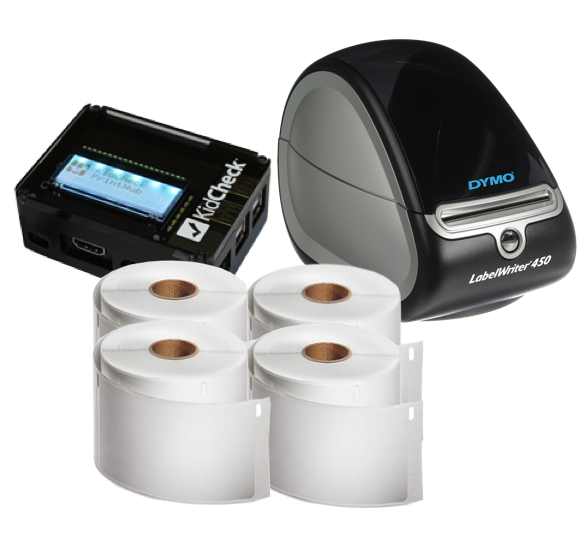 Includes a DYMO LabelWriter 450, 4 pack of labels, and KidCheck PrintHub 3. The KidCheck PrintHub 3 provides a fast, easy and convenient solution for mobile printing. Print directly from the check-in device to the PrintHub and connected printer(s), without the need for a computer in the process. Or license the PrintHub 3 to enable Express Check-In. 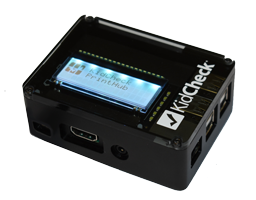 The KidCheck PrintHub 3 features a dedicated mobile setup app, a LCD display providing key diagnostic information and status updates, and a high performance USB wireless antennae. 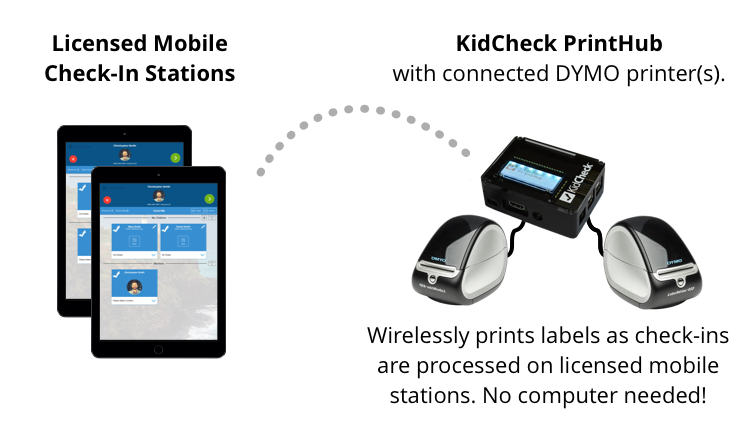 Simply connect one or more DYMO LabelWriter printers to the KidCheck PrintHub, choose which printer to use, and initiate printing right from the check-in device. Enjoy the added flexibility of being able to place the PrintHub and label printers strategically throughout the facility where you need them – classrooms, entry ways, more – without the need to also have a computer in the process. Don’t forget cleaning pads to keep the printer working properly. 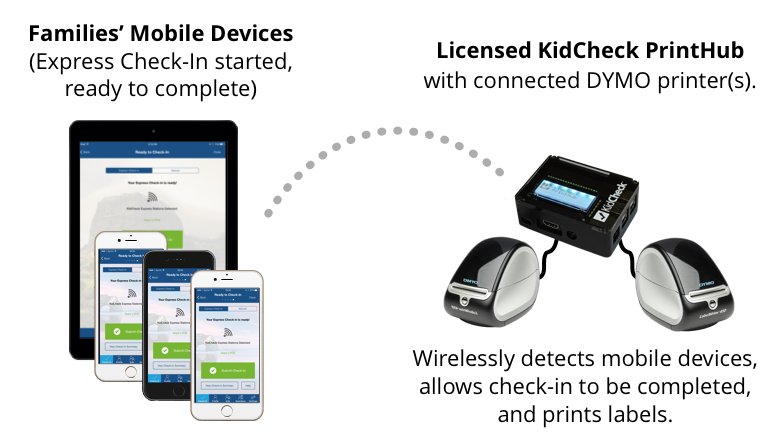 Learn more about KidCheck’s mobile check-in.